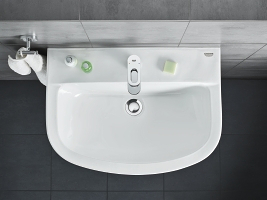 Inspired by Bauhaus, designed for modern bathrooms. BauLoop brings lightness to its surroundings through its striking loop-shaped lever handle and cylindrical body. 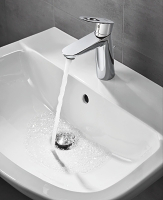 Featuring the signature GROHE design elements, the collection carries its minimalist design ethos into the bathroom - from washbasin mixers to bath faucets.